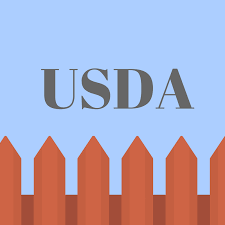 The United States Department of Agriculture, or the USDA, has a loan program designed to help those who wish to purchase property located in a rural area. Conventional loans such as those underwritten to Fannie Mae and Freddie Mac guidelines can have issues with financing a home that is relatively rural. One of the reasons has to do with the appraised value of the subject property. When a lender orders a property appraisal, the final report is used to justify the current market value of the home. The lender provides a copy of the sales contract that shows the sales price of the home to an appraiser. The appraiser will then research the subject property as well as look for similar homes in the area that have sold within the previous three to six months. At least three such properties should be listed in the appraisal. One requirement of the “comparable sales” is proximity to the subject. Each of the three should be within one mile of the subject. This can sometimes pose an issue when applying for a conventional loan when financing a rural property. There are few, if any, similar properties within one mile of the home being purchased. USDA loans do not have such a one-mile requirement. The USDA program was first introduced in 1935 which was then called the Resettlement Administration. The economy was still in the middle of the Great Depression and Congress introduced multiple programs to find a way for the economy to recover. Getting people who are without housing and into a home they can afford was one way to do just that. At the same time, qualified buyers had to prove they could afford the monthly payments. If so, they could buy a home in an approved area designed to populate and develop rural parts of the country. Today, that program is the USDA home loan and this is one of the few programs that still permits 100% financing to qualified buyers. When someone is looking to buy a home in an approved rural area, a USDA approved lender is contacted. The loan officer looks up the subject’s property address to see whether or not the property is located in an eligible zone. But who designates which areas are eligible for this program? USDA Rural Housing does and uses data provided by the United State Census Bureau. In the United States, the Census is taken every 10 years. An urban area must have at least 2,500 people within the delineated zone. Any area with less than 2,500 in population is defined as rural. Read more about the USDA property eligibility map here. 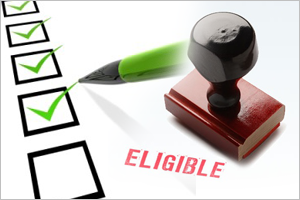 Sometimes homes that are located in an urban or suburban area can still be in an eligible zone. Even many suburban locations in Florida, California, Texas, etc are still approved for financing. Because of the time lapse between when the Census is taken, new subdivisions and urban expansion can begin taking over an identified rural area. It is during this period where the USDA home loan can be used, even though the property is located in an area that looks anything but rural. As long as the home is located in a pre-approved area, the USDA loan can be used. USDA loans are designed to finance rural properties but they also have other advantages. One of the most attractive is the lack of a down payment. USDA loans are a zero-down program. In addition, the USDA loan provides a guarantee to the lender. Should the USDA loan ever go into default the lender is compensated for the loss. This compensation is financed with two forms of mortgage insurance, an upfront fee that is rolled into the loan amount and an annual premium that is paid in monthly installments. Not only does the property have to qualify for the loan, but there are also some limitations placed on the borrowers. The household income for all occupants 18 years of age or older, cannot exceed 115% of the local median income for the area. USDA loans are also offered as a 30 year fixed rate loan. Variable rate loans and hybrids are not included as an option. USDA loans are also a bit more forgiving as it relates to credit. The USDA loan asks for a minimum score of 580, matching the minimum score for another government-backed loan, the FHA mortgage. However, individual lenders set their own scores and borrowers will find the minimum score to be close to 620-640. For someone who is interested in living in a rural area the first place to look is for a USDA approved lender. The loan officer will have a conversation with you over the phone to see if you as well as the property qualifies as well as provide current interest rate and closing cost information.